Can you grow kale in Singapore? Here’s my Tuscan Kale plant, grown from organic seed around a year ago. I put this under my stone table for partial shade, so it gets some afternoon sun but not too much. It’s very healthy, as you can tell, but it would be much bigger if it were planted in the ground. If you’re juicing with kale every day, you’ll probably need around 3 plants. 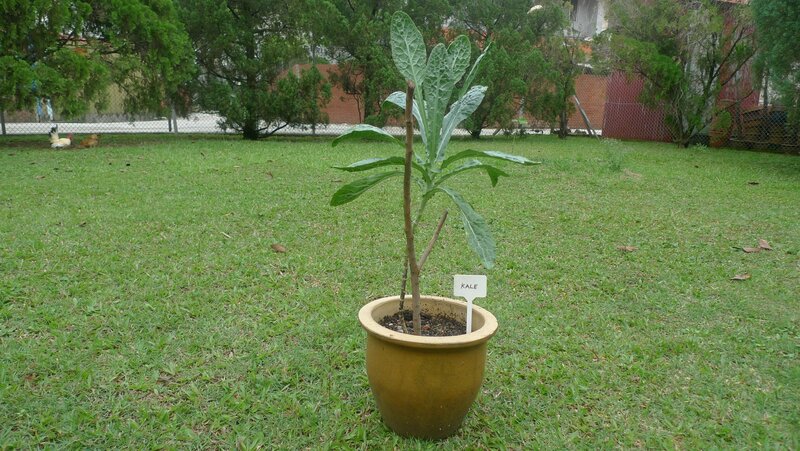 The leaves grow pretty quick, just make sure that the plant is well watered. 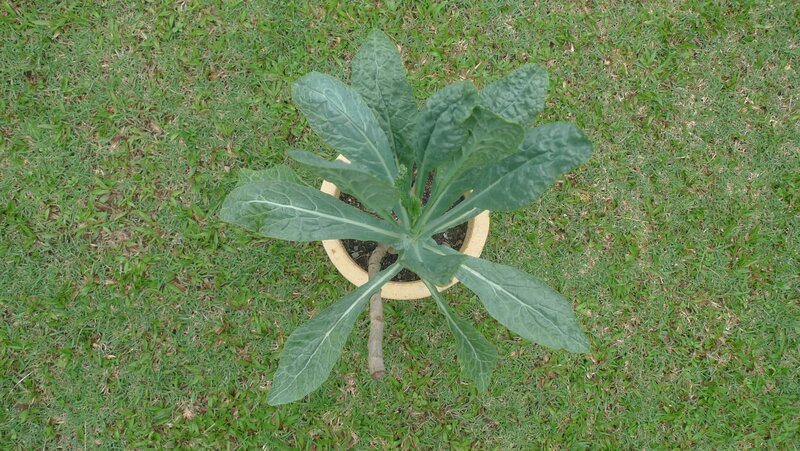 And if you’re wondering where to get Tuscan Kale seeds, you can buy them through my Carousell page, while The Seeds Master retails Curly Kale seeds. It’s not too difficult to grow, so please try your hand at it if you love kale! Hi Julie, I’m away at the moment. In the meantime, you can purchase curly kale from theseedsmaster.com. Hi….may I know what type of soil and compost do you use when you grew your kale? I used Greenback compost, but it needs to be sifted or well composted. Pay close attention to its drainage, I usually mix sand with the compost to allow for optimum drainage. I mostly use Greenback soil too. Olivia, I had learnt of the marvels of kale to health. I am into juicing also and wondered if it was possible to grow Kale here myself, as I did not believe in buying kale shipped over fom long distances. If you are ever giving out seeds, kindly send a few my way? I am in singapore, thanks a bunch! singaporecontainergarden, indeed, it’s much more affordable to grow your own, but it won’t taste the same as those grown in colder climes, as frost makes it sweeter. Seeds are available for purchase through Nong (link in blog post). All the best!